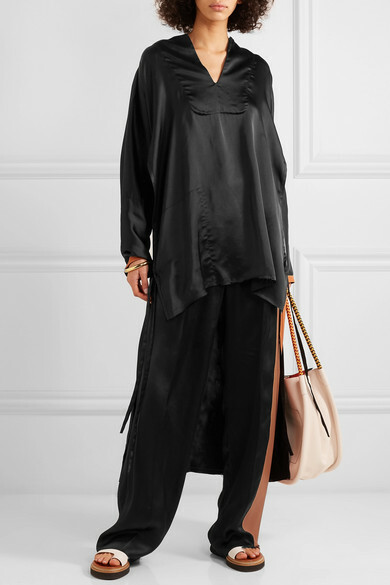 Jonathan Anderson sent a whole host of free-flowing clothes down Loewe's Spring '19 runway, including this loose top. 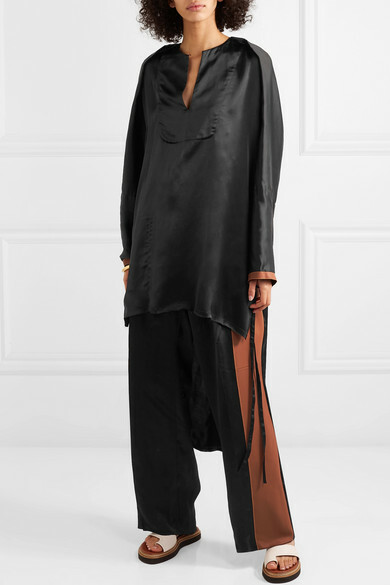 It's been made in Italy from black satin to drape fluidly over your figure, falling longer at the back. 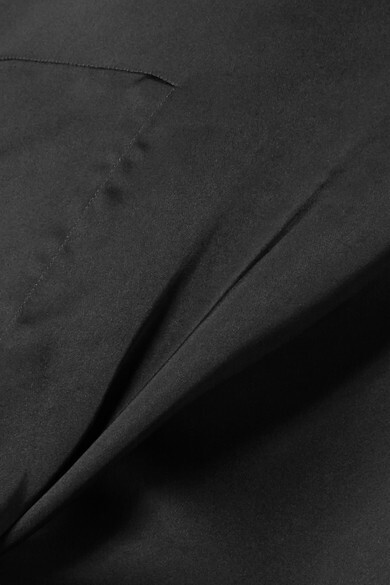 The side ties can be fastened into bows or left undone to create slits. Match your bag to the tan leather trims at the cuffs. 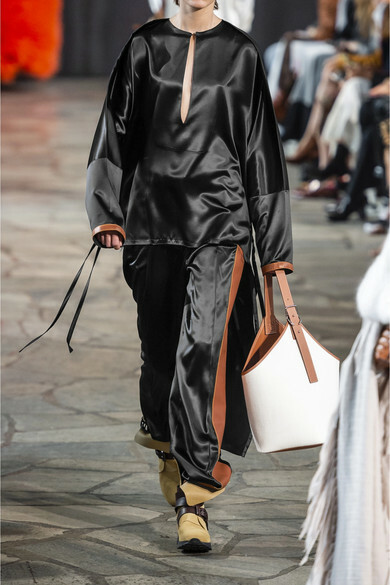 Shown here with: Loewe Pants, Proenza Schouler Tote, 3.1 Phillip Lim Sandals, Lucy Folk Cuff, Sophie Buhai Bracelet.